Wax Studios is a graphic design, art direction and publishing agency based in Brooklyn, NY. With a focus on strategic branding, Wax works collaboratively across the realms of arts, design, culture and fashion. The work is exuberantly media-agnostic, communicating through any print, environmental and screen-based modes. Zak Klauck is a graphic designer and educator based in New York since 2006. Prior to founding Wax Studios, he worked with the branding consultancies Noë & Associates and 2×4 where he worked with a range of clients including: Surface Magazine, American Academy in Rome, Harvard Art Museums, Vitra, Nike, Alexander Wang and Prada. His work has been featured in a number exhibitions around the world, and has appeared in publications including Graphic Magazine, Graphic Design Now in Production, Walker Art Center Magazine, Print Magazine and a series of books by Die Gestalten Verlag. He currently teaches typography at Parsons the New School for Design, and has been a guest speaker and critic at Columbia University and Yale School of Art. He has an MFA in Graphic Design from Yale School of Art. David Yun is a graphic designer and educator based in New York since 2001. Prior to founding Wax Studios, he worked at design and branding firms 2×4 and Pentagram, for clients including the Guggenheim Museum, Dia Foundation, MoMA PS1, USC School of Architecture, Barneys New York, Arper, Office for Metropolitan Architecture, Nike and MTV. He has taught or served as visiting critic at Yale School of Art, Columbia University (GSAPP), Rutgers University and the New York Center for Art & Media Studies. He currently runs a thesis seminar at Parsons the New School for Design. David holds a BFA in Anthropology and Music from Wheaton College, and MFA in Graphic Design from Yale School of Art. Photography by Jeremy Liebman and Sacha Maric, unless otherwise noted. 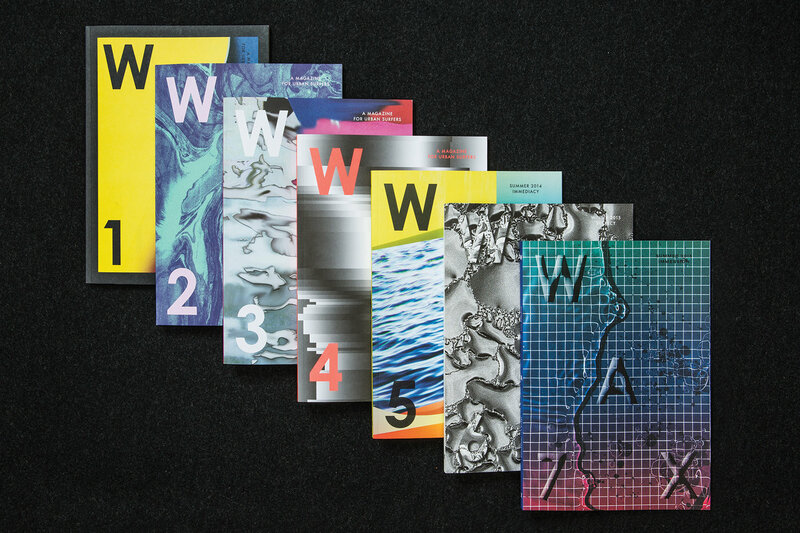 In 2011, Wax Studios conceived of the idea for a surf, culture and contemporary art publication, entitled WAX Magazine, that explores the connections between creative practices, nature and surfing. Each issue explores a theme (e.g., Territories, Dialogues, Secrecy) compelling editorial content, from essays and interviews to photo stories and experimental art prompts. These themes provoke connections between the seemingly disparate worlds of art, nature and surf, allowing for an eclectic yet visually continuous read. Leading a team of enthusiastic writers, photographers, designers and artists, Wax Studios produces, edits, designs, markets and distributes WAX Magazine, which can be found in select boutiques, bookshops and surf shops worldwide.